When a client decides to seek help for a drug or alcohol addiction they may first need to undergo the detoxification process. This process allows the body to eliminate the toxins and chemicals from the bodily tissues and help stabilize the client both physically and mentally before beginning treatment. After detox and withdrawal is completed, the client will be able to fully focus and participate in the treatment program. At KSC Palm Springs we provide clients with a medically supervised detox process. This is an important aspect of launching recovery, as attempting to detox alone without help will usually result in relapse back to using the substance. This is because the detox process can be highly unpleasant as well as unpredictable, so without support the discomfort could overwhelm the person and they then resort back to their substance to avoid the pain. Medical detox offers the client the best chance of completely the detox process safely. During the medical detox, there will be constant monitoring of the client’s vital signs and withdrawal symptoms. This allows the trained detox professionals an opportunity to quickly intervene if a medical emergency arises. Mostly, it provides clients with medical interventions that will greatly ease the discomforts and pain of detox and withdrawal, helping them to successfully complete the process and then enter treatment for their addiction. Medications, such as benzodiazepines, Suboxone, or naltrexone are sometimes used to help ease symptoms and reduce cravings. Some clients may find that Suboxone or naltrexone, considered medication-assisted treatment, are helpful in sustaining sobriety in early recovery and will utilize the medications during the first year of recovery before tapering off. Entering this first phase of treatment can be a source of anxiety for many. It isn’t easy to approach the detox and withdrawal process, knowing that it will entail some discomfort and even pain. The detox specialists are trained to oversee the client’s withdrawal symptoms and provide medical and psychological support that will greatly reduce the discomfort, guide them safely through the process, and prepare the client for entering the active treatment portion of the rehab program. Each substance will cause unique withdrawal signs and symptoms when the individual discontinues using it. Withdrawal symptoms are a reflection of the body attempting to adapt and stabilize to the absence of the substance. Over the period of active addiction the individual’s brain chemistry, called neurotransmitters, compensated and adjusted in response to the drug or alcohol use, so during detox and withdrawal the neurotransmitters must recalibrate and normalize, which takes time. 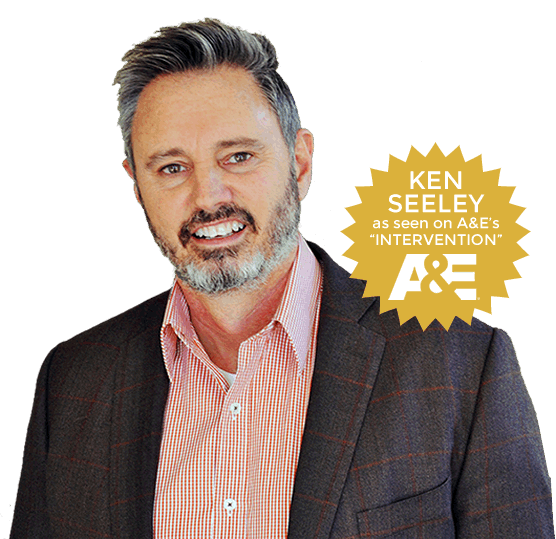 Contact Ken Seeley Communities for more information about the medical detox process at (877) 774-0502.